I think we all understand that writing is powerful; you can do so much with it. That's one thing I want my students to know, even as young as they are. 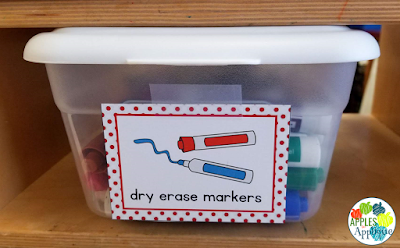 I think as early childhood students are learning how to write letters and words, the idea of why we write can be so abstract to them. They learn their letters and how to write their names; we try to teach them the connection as we read books, that the words they are hearing are written down with letters--the same letters they are learning to write. Giving them the opportunity to write themselves brings it all full-circle, so that writing is no longer something that just adults do. 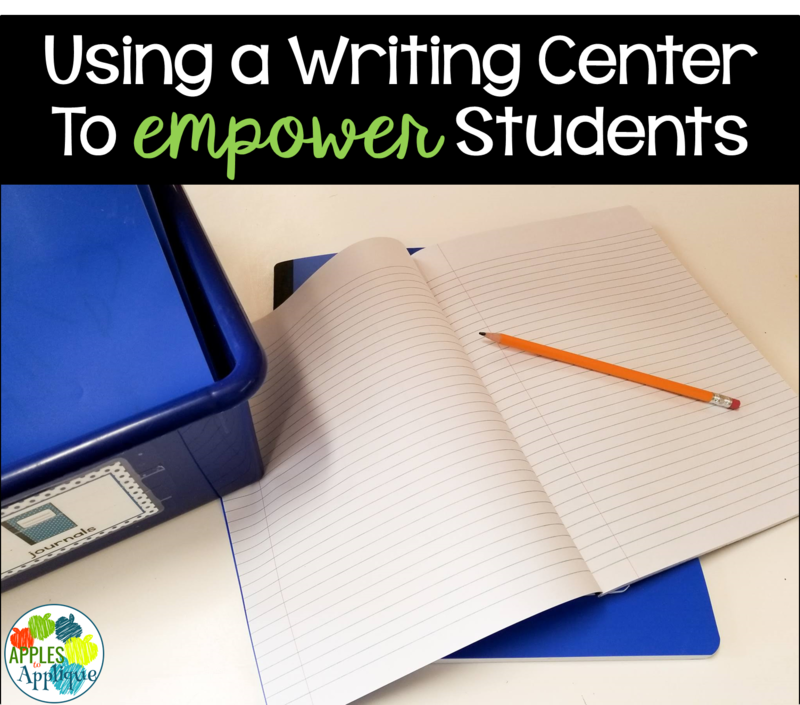 The writing center is essential in making that connection. It helps kids to see the power that writing gives them, and that it goes so far beyond writing their names and their ABCs. 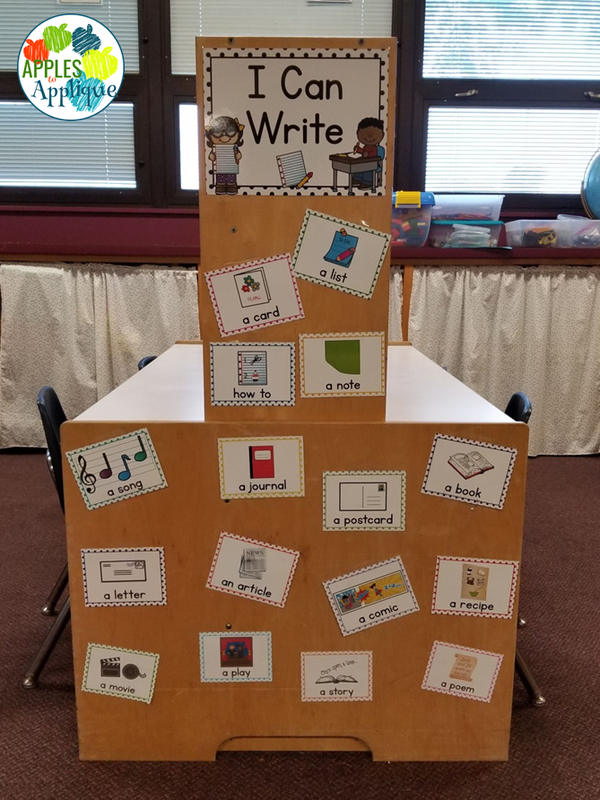 I think that's my favorite feature of my writing center: all of the visuals included to empower students and help them to see all the things they can do with the written word! 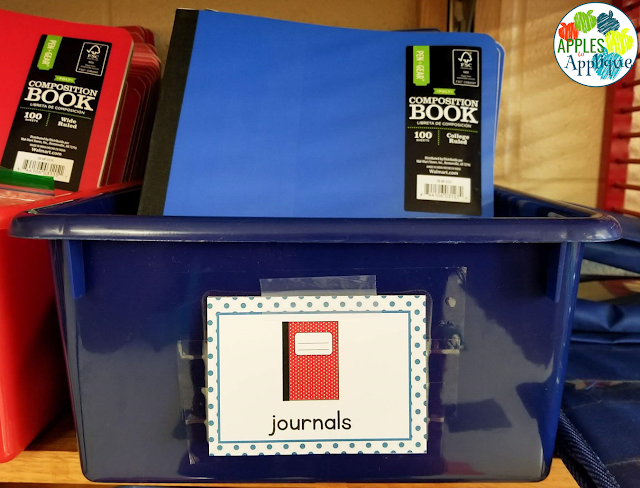 Each student has his or her own journal, and every day during learning labs time, they are given the opportunity to add to their journal as they desire. 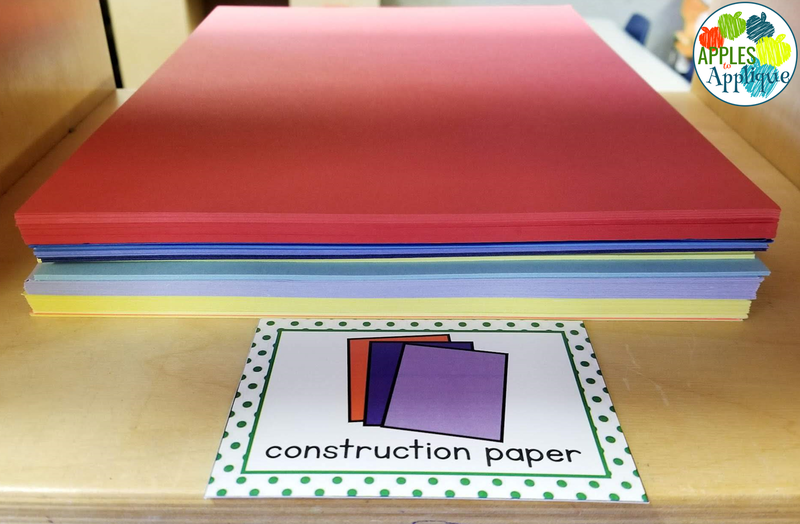 Sometimes I provide some kind of prompt or challenge, especially at the beginning of the year as they are first getting comfortable with journaling. Most of the time, however, it is just a place for them to put their own thoughts to paper. Even though they are not able to truly write yet, they are learning that they can use symbols and pictures to represent what they are thinking. Perhaps even more importantly, they are learning that their thoughts and ideas have value. Their journals are kept in a special place, and only they are allowed to use them. When they show me what they draw or write, I ask them open-ended questions to get them talking, and never make assumptions about what I think they might have drawn. I also try to not assign aesthetic value to it with remarks like, "What a pretty picture", but instead use comments such as, "Wow, I see you used so many colors!" or "I can tell you worked really hard on that!" One phrase that works well, especially if I am unsure of what they have drawn, is saying, "Tell me about this", pointing to specific elements in the picture. 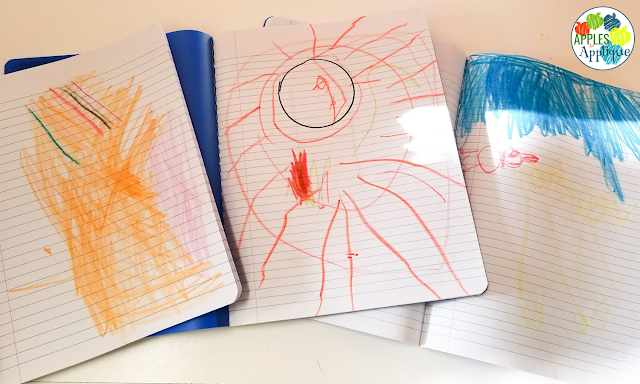 When students see that their writings and drawings are treated as being important, they begin to see that their thoughts, ideas, and feelings, as well as their representation of them, are also important. When children see that adults value their thoughts, and allow them to have ownership over the expression of them, it empowers them and builds their self-confidence. 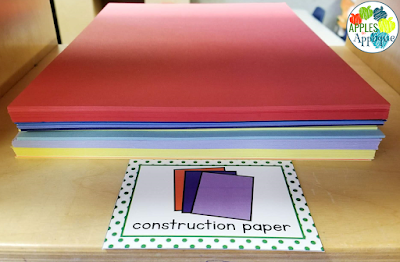 This helps in establishing a strong foundation for healthy social-emotional development. 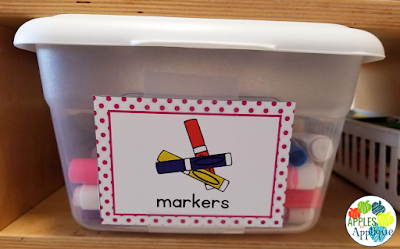 Find my writing center kit here, with all 16 of the "I Can Write" visuals, as well as 20 organizational labels!